My favourite destination in the last couple of years was my holiday to the Alsace Wine Region in France. This stunning historical area is one of the smallest French regions, located in the northeast of France on the Border with Germany and Switzerland. The whole area is full of medieval villages, vineyards and castles. After visiting relatives in England we flew with Swissair from London to Zurich and picked up a rental car to drive the short hour and a half to Colmar. Colmar is a rather large medieval town, but quite easy to get around on by foot. 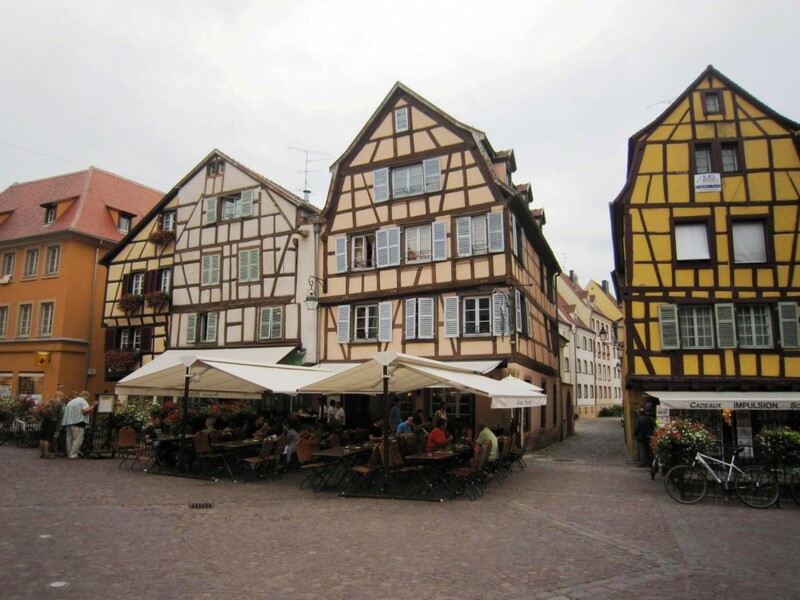 It’s full of beautiful Alsatian houses in medieval style. Our stay of three nights gave us plenty of time to see the town square, fountains, canals, each in many cafes and enjoy some great shopping. 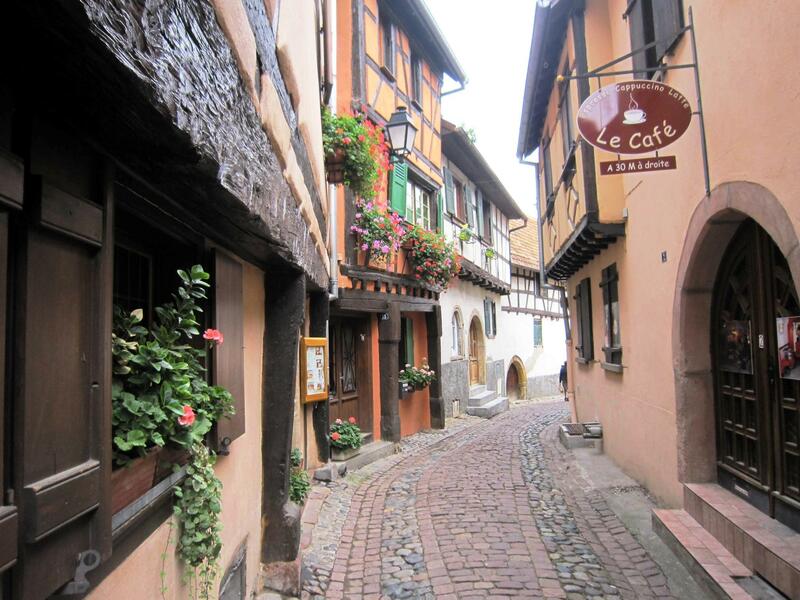 On our way to Riquwheir we visited one of our most favourite villages, Eguisheim. This village was fortified in 1257. It is so picturesque and the houses so tiny and colourful, stunning flowers everywhere you almost expected to see Hobbits living there! The village is full of winding, narrow, cobblestone streets, fountains and ancient buildings. It has been beautifully preserved and is so gorgeous to visit. After a short drive through winding vineyards and castles in the mountains we arrived at Riquewhir. We had booked our own accommodation online but the town is very popular and we could only get 2 nights. We were so pleased with the accommodation it really outdid our expectations. 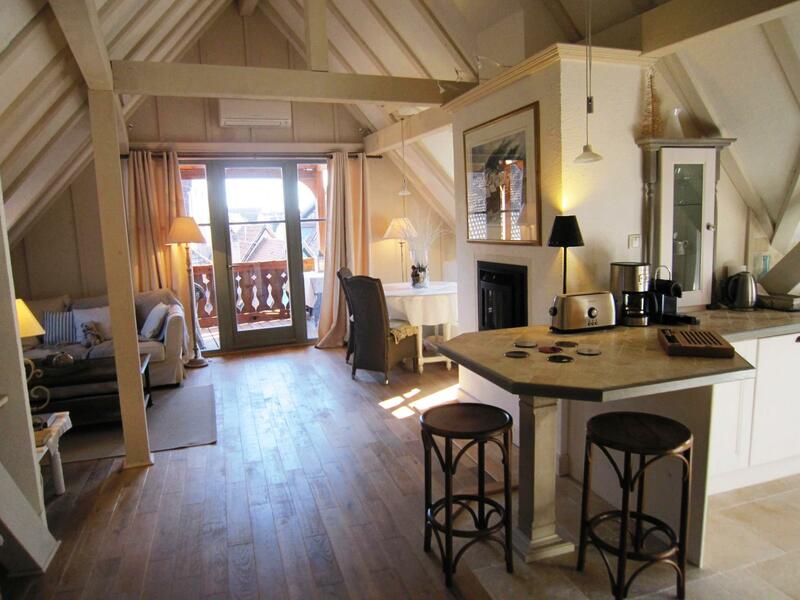 Named, The White Stork, it was a stunning fully contained apartment located on top of an old Renaissance house built 1291. It was perfectly placed inside the walls of Riquewihr village with views from each window over the ramparts and town. It even had views out the back over vineyards and mountains. I would highly recommend a stay of four to five nights in Riquewihr. The village has at least thirty restaurants and all that we sampled offered exquisite food and wine. So affordable too! A three to four course meal with wines matched to each course was around $150 Euro for two! Seriously there are so many great restaurants it is hard to choose, but one of my favourites was Philippe Aubron’s ‘Au Trotthus’. The chef, Aubron is very friendly and loves to come out to speak with you and, he is no ordinary chef. 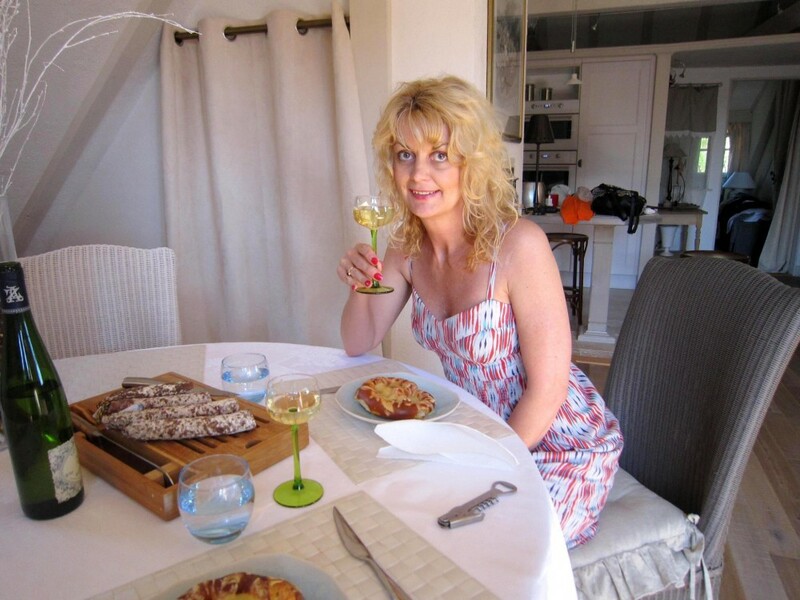 Aubron is quite famous and has earned a lot of Michelin stars and awards over the years. Situated against the rampart walls over a thousand years old this restaurant must be booked as it only seats around 30 people. You almost don’t want to disturb the food as it appears so visually tantalizing as well! Not forgetting the amazing Wines with each course! 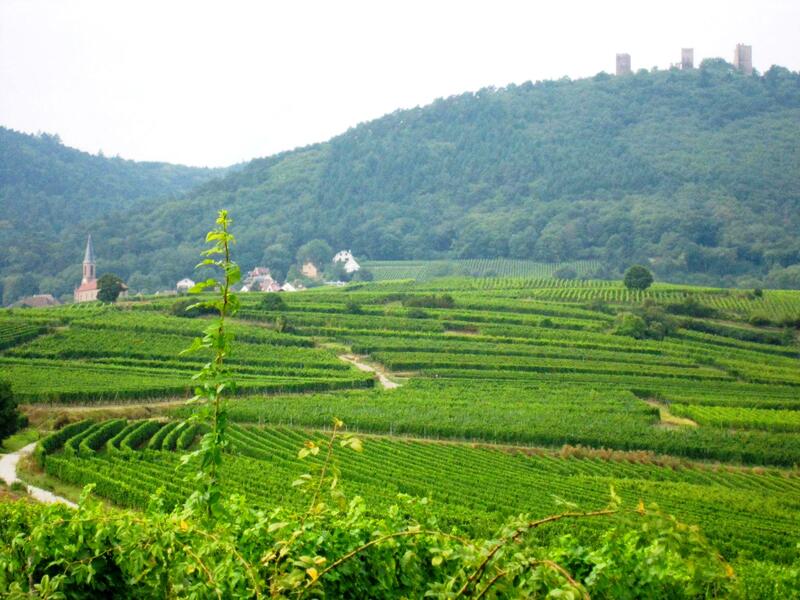 The Alsace region is notable for its aromatic White varietals such as Riesling and Gewürztraminer. It’s just as lovely dropping into small family owned vineyards for tastings and to meet the local winemaker as it is to visit some of the more well known wine houses. Do buy some Wines to enjoy with some cheese and sausages, delicious . Any specific reason you picked up Alsace? Though it seems like a must-do in one’s lifetime! Thanks for your message well to be honest as I was heading over to England and its so far from Australia I told my partner at the time we must visit France but something different as I had done the South of France, coastlines and Paris many years before. A friend sent me a photo of Alsace and I thought it was so pretty. I then started to research it on the net. Of course the fact there is so much history, many vineyards and fine food to be had made the choice so easy. I will always remember that holiday, such a beautiful area.